The worst crash involving the Concorde happened on 25th July, 2000, when an Air France Concorde crashed in Gonesse, France, killing all 100 passengers and 9 crew on board. As the plane was on its take-off run, a metal piece punctured the tyres which then burst, puncturing the fuel tanks possibly by a hydrodynamic pressure surge. Leaking fuel was ignited by an electric arc in the landing gear bay or through contact with the hot parts of the engine. A massive plume of flame developed, and power was lost on engines 1 and 2 when the crew shut them down in response to warnings. Airspeed decayed, and the undercarriage could not be retracted. Eventually the crew lost control of the aircraft while trying to divert to nearby Le Bourget Airport, leading to the loss of the aircraft as it crashed into a hotel. The report of the investigation was published on 14th December 2004, attributing the crash to foreign object damage from a titanium strip that fell from another aircraft, a Continental Airlines DC-10 which had taken off four minutes before. According to the report, the piece had not been approved by the US Federal Aviation Administration. However, Continental maintains that FAA regulations do allow the use of the titanium strip and added that this metal is more wear-resistant than the original part. 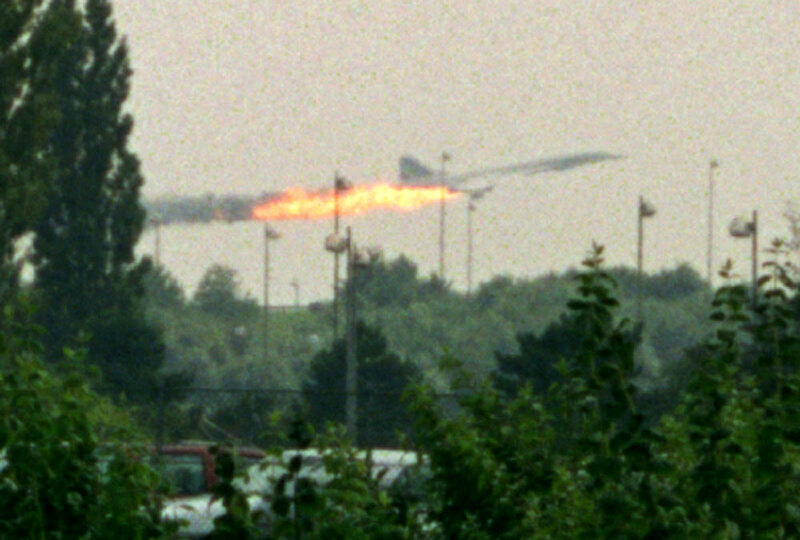 British and former French Concorde pilots looked at several other possibilities that the report ignored, including an unbalanced weight distribution in the fuel tanks and loose landing gear, which hinted at the Concorde veering off course on the runway, reducing take-off speed below the crucial minimum. The aircraft had veered very close to a Boeing 747 known to be carrying French President Jacques Chirac. The Concorde had been the safest working passenger airliner in the world according to passenger deaths per distance travelled, although the Boeing 737 fleet acquires more passenger miles and service hours in one week than the Concorde fleet acquired in the course of its entire service career. 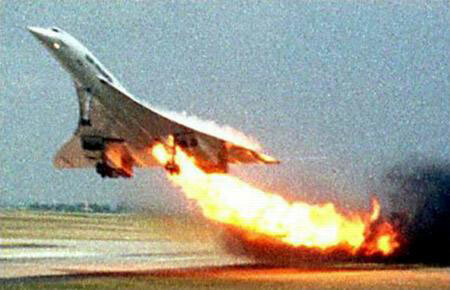 The crash of the Concorde was the beginning of the end of its career. The accident would make way for modifications to be made to Concorde, including more secure electrical controls, kevlar lining to the fuel tanks, and specially developed, burst-resistant tyres. The new-style tyres would be yet another contribution from the Concorde programme to future aircraft development. As of October 2005, Jacques Herubel, a former Aerospatiale engineer, is under investigation for negligence leading to the crash. A report stated that the company had more than 70 incidents involving Concorde tyres between 1979 and 2000, but had failed to take appropriate steps based upon these incidents.